I facilitate and lead workshops on intergenerational, place-based community work, oral history, cultural work, research and folklore. I have spoken at the American Folklife Center at the Library of Congress, the Rural Arts and Culture Summit in Minnesota, Folks Arts Missouri, and all around Arkansas. You can learn more about the McElroy House: Organization for Cultural Resources here. Contact me if you're interested in working with me. 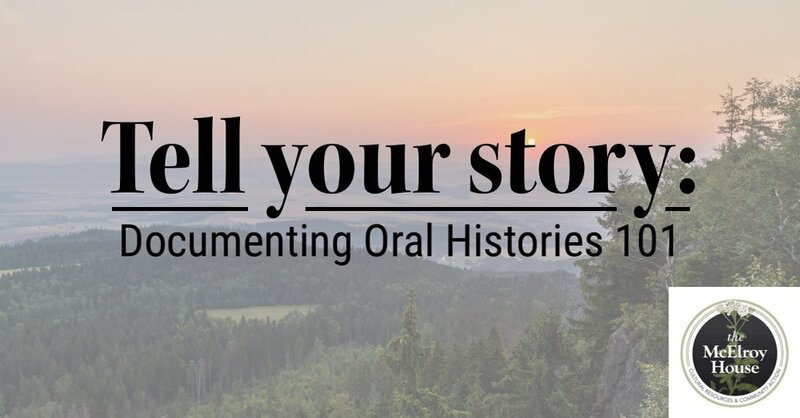 Collecting Community Oral History: An interactive workshop with the Missouri Folk Arts Program and the Ripley County Historical Society. Saturday April 28th from 9:00-2:00 at the Doniphan Community Center in Doniphan, Missouri.